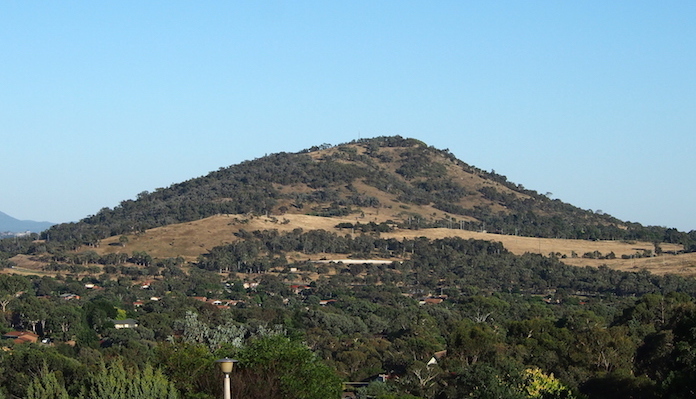 For a panoramic view of the city of Canberra, it doesn’t get any better than Mount Taylor, an easy climb conveniently located just outside the suburbs of Torrens (Woden) and Kambah (Tuggeranong). The base of the mountain can be accessed from Sulwood Drive or Athllon Drive. The path to the summit is a graded, fairly wide dirt track which switches to pavement towards the end. While the track is a steady uphill, it’s not overly steep, so most runners can take on the 230 meter gain in elevation at a good clip. Keep an eye out for wildlife, including kangaroos, and by mile 3 you’ll be rewarded with incredible 360 degree views of Canberra in the valley below. If you prefer loops to out and backs, there are other options to return by once you get down from the summit, making for a nice tour of the urban bush.